Sometimes after teaching a lesson in my history class, I look at the students to get some type of reinforcement that they understand the content. I head nod, a comment, anything would be nice. But what often happens is that I get met with a sea of blank faces. And that's why I often incorporate frequent checks for understanding. 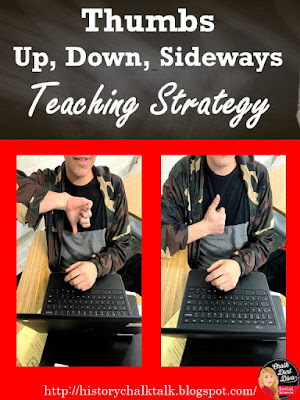 Thumbs Up, Down, Sideways is an easy and quick strategy to use to see which students are understanding the content and which students may need more help. 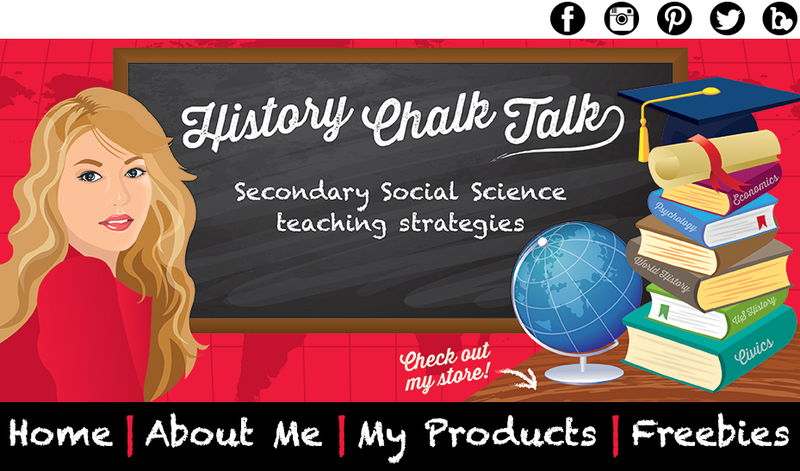 I try to incorporate CFU's every 10 minutes throughout a lesson. When I use this strategy I simply ask students how well they understand the content I'm teaching. They place their thumb close to their body facing up (I understand the content), thumbs to the side (I understand the content but I need more clarification) or, thumbs down (I don't understand most of the content). 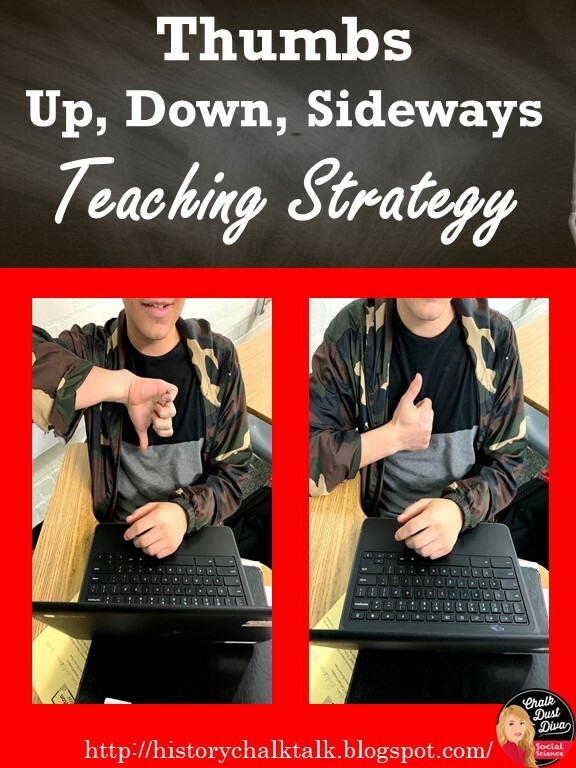 This CFU is especially helpful for students who have high anxiety in sharing their lack of understanding since no other student can see their response. What types of checks-for-understanding do you use in your classroom?